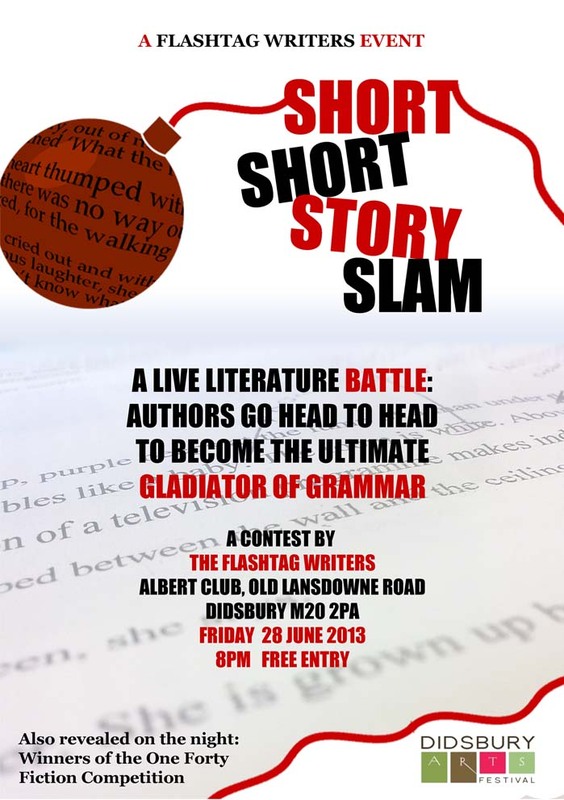 The deadline for our Chorlton Arts Festival Flashtag Writing Competition has now passed. The judging will now begin! Thank you in advance for everyone who entered. Good luck! 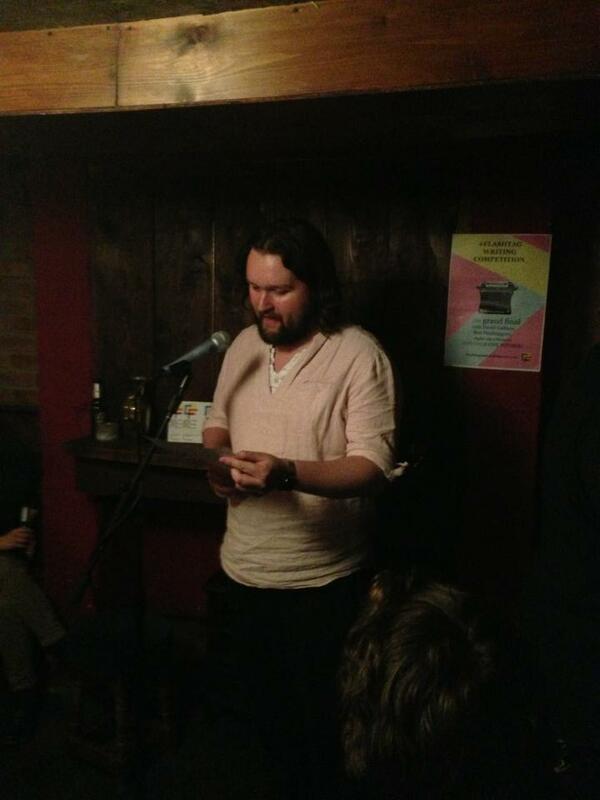 We are back for a third Chorlton Arts Festival, and a third short fiction competition. This year we have a theme – Past, Present, Future. Can you join previous winners Socrates Adams and Clare Kirwan and become the third person to win the #Flashtag Writing Competition? Of course you can. This year we have lowered the word limit to 400 words. We are like literary limbo instructors, making you work harder and harder. Maybe you will concentrate on the past, or set your story in the future, or maybe you will have a really clever idea for a story that incorporates past, present and future. 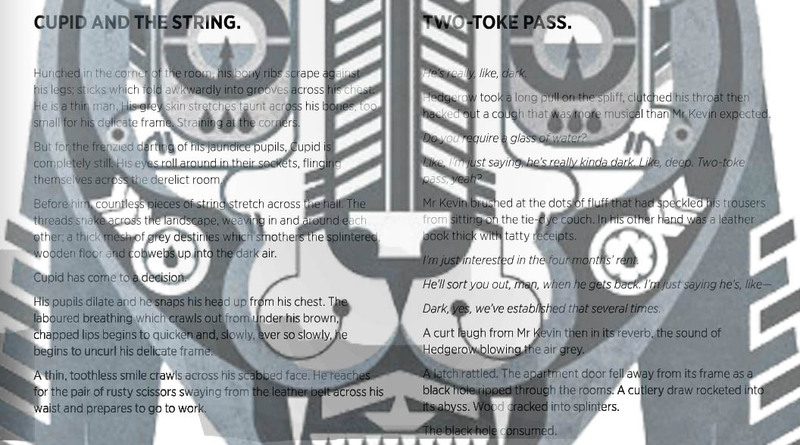 As long as it is 400 words or less, and it blows our minds, we will be happy. Take a stroll through our website. Don’t forget to have a close look at those rules. Pick up your pen and submit. Let’s go! 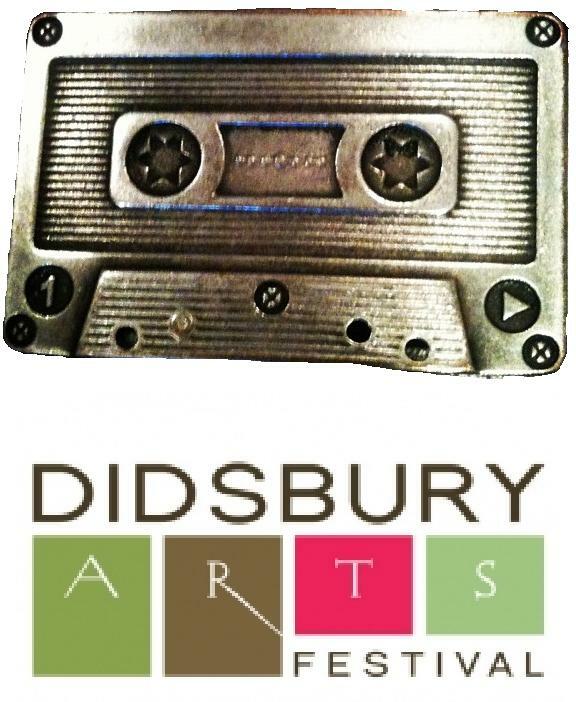 The Flashtag writing collective returns to Didsbury Arts Festival for a second year, this time curating an evening of spoken word and music. 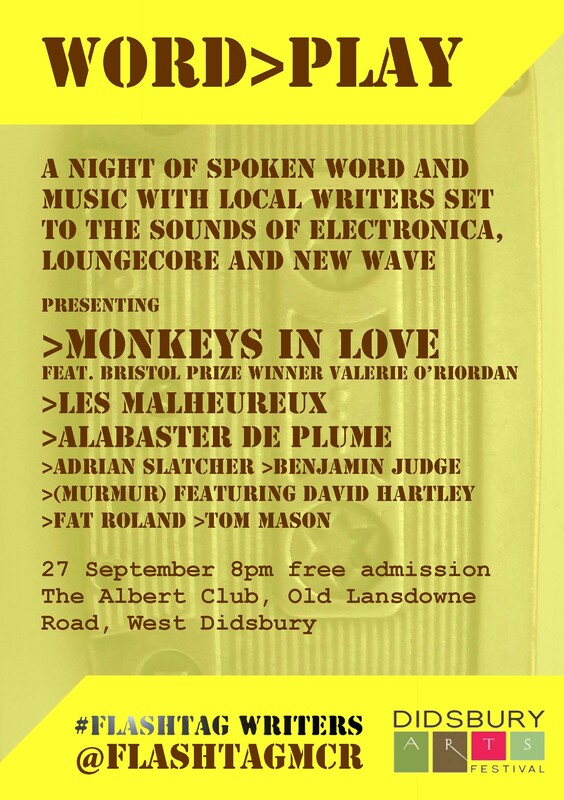 Expect a variety of prose and poetry from local artists presented against a backdrop of entertaining visual projections and set to original scores by Manchester-based musicians encompassing genres from electronica to loungecore. This promises to be an interesting and eclectic night – and very entertaining!